Pain is a negative feeling associated with damage to the body’s tissues and it is crucial to survival. Putting a hand on a very hot object “feels bad” and that negative feeling rapidly teaches even very young children not to do that again. This sort of acute pain that resolves when the damage stops makes perfect evolutionary sense. Sometimes, however, damage to the tissues, possibly from trauma or from some diseases (including viral infection, osteoarthritis and diabetes) results in pain that doesn’t go away and which becomes chronic. This has no survival value and, indeed, results in a real reduction in sufferers’ quality of life. 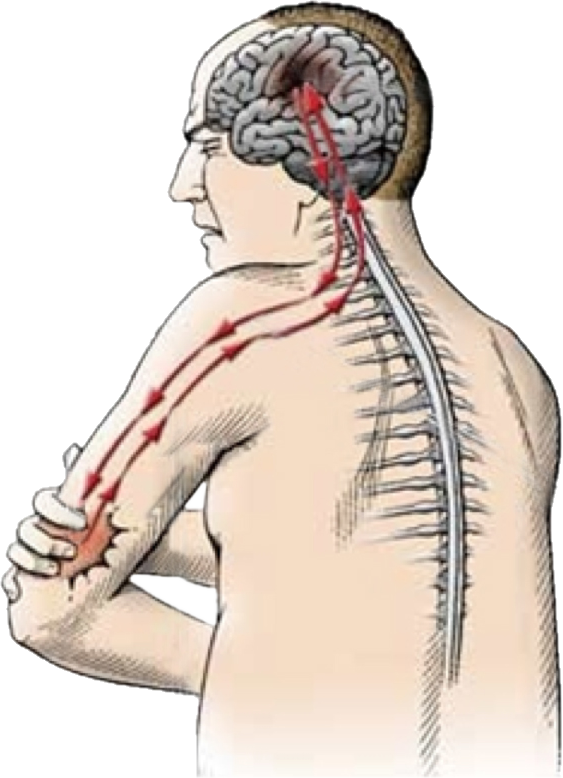 Neuropathic pain is pain caused by any damage or disease affecting the sensory nervous system. Exogenous opioid compounds such as morphine are massively useful in combatting acute pain but they are much less effective versus chronic pain. Existing conventional opioids have important, possibly life threatening side effects (nausea, constipation, itching, respiratory depression) and patients quickly become tolerant to their analgesic effect necessitating increased doses with an increased risk of toxicity. The euphoric effects of morphine like opioids means that they are used “recreationally” and this, along with their inappropriate prescribing for chronic pain states, has resulted in an epidemic of opioid overuse (particularly in the USA) leading to thousands of deaths and costing health services billions of dollars. Cost for prescription drugs in USA is > $18 p.a.